The story of a chaotic bond! Hubert, a sensitive, cultivated pig, buries his peasant roots and dreams of living the refined life of a big-city pig. 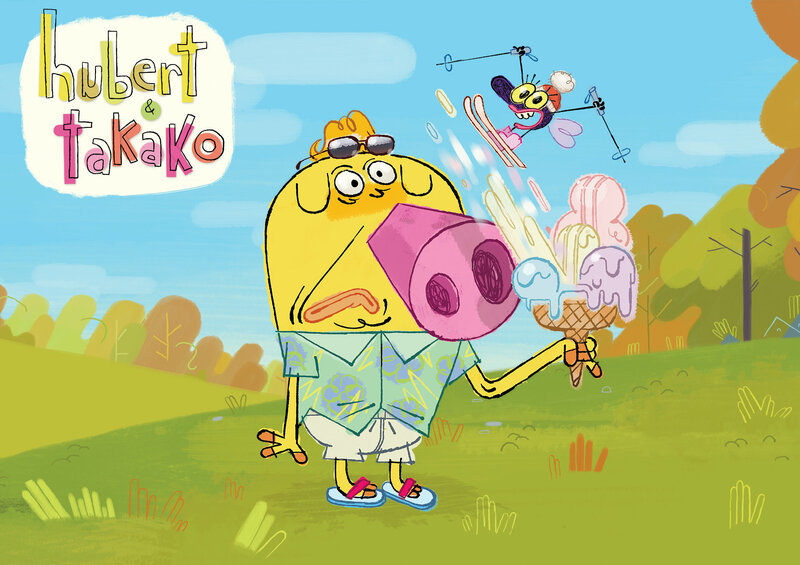 But his friend Takako, a hyperactive, rebellious fly, keeps sabotaging his quest for excellence. She makes him ditch his embroidered bunny slippers and tone down his faux upper-class rant. But that’s what best friends are for!